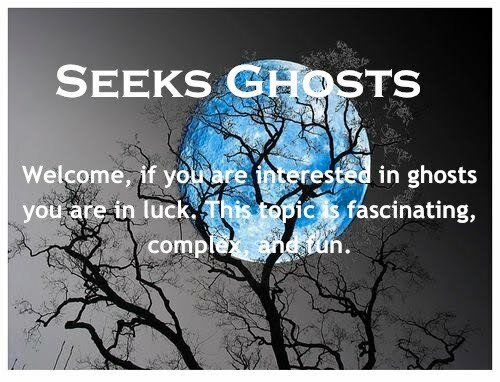 Stage actors are renowned for believing in a variety of superstitions. Often it is believed that if these superstitions are not respected it can make or break a play’s chances for success. For the 400 years, William Shakespeare’s play Macbeth has been performed there has been one superstition that has always been followed faithfully. It is considered bad luck for the cast or crew to say the name of the play Macbeth while inside the theatre except during rehearsals and performances. 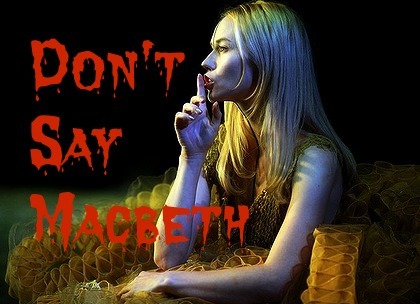 To prevent this a long-standing tradition involves calling Macbeth by various other names. Legend states this superstition started with the very first production of Macbeth in August of 1606. A boy named Hal Berridge was playing the role of Lady Macbeth when he became ill with a high fever. He died backstage and Shakespeare had to then go on stage and play the role instead. 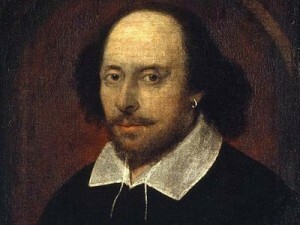 It is stated Shakespeare performed the part badly. Later he chewed out his fellow actors when he heard them complaining about “that play.” This supposedly started the superstition of not referring to Macbeth by name. There is a ritual that is followed if someone slips and says, Macbeth. The actor or crewmember must walk out of the room and shut the door. They then turn around 3 times and say a “dirty” word or spit. Finally, they must knock on the door and ask to enter the room again. 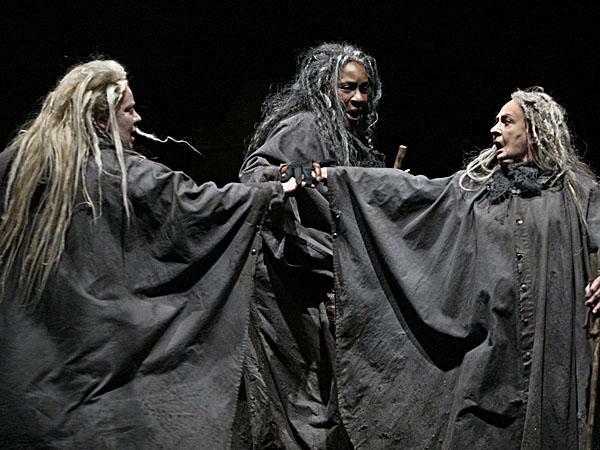 Many in the theatre world believe the play Macbeth is cursed. This is believed because Shakespeare used an authentic “witches chant” in the opening scene to please King James l who prided himself on being an authority on demonology. As it turned out the King was displeased with the play and the “witches” of the time were unhappy with Shakespeare’s negligent exposure of their craft. It is said they cast a curse on the play for eternity as punishment. The above belief is archaic but the numerous instances of bad luck that have impacted productions of Macbeth over the years leave room for doubt. Any seasoned theatre actor will gladly share a story that points to this curse’s existence. Here are just a few examples from the many performances of Macbeth that have been plagued by this supposed curse. 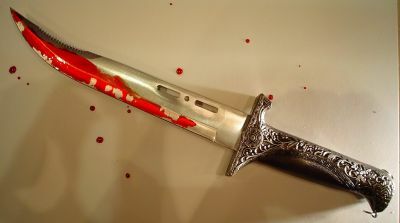 An actor playing the part of Macbeth in Amsterdam in 1672 mistakenly substituted a real dagger for a prop and killed a fellow actor playing the role of Duncan in full view of the audience. In 1721 a nobleman in one audience got up and crossed the stage to talk to a friend during one scene--the actors chased him out of the theatre. He returned with the militia who burned the theater. Two competing productions of Macbeth were playing in New York in 1849. One starred an English actor named William Charles Macready the other starred an American actor named Edwin Forrest. During one performance given by Macready fans of Forrest’s production were in the audience--they pelted Macready with chairs and fruit. The militia was called out and fired on the crowd. Twenty people died--many of them trampled to death. Thirty others were wounded. In 1934, a British actor Malcolm Keen turned mute on stage and the actor who replaced him Alister Sim, famous for his film role as Scrooge, developed a high fever and was hospitalized. In a 1937 production, a 25-pound counterweight crashed onto the stage barely missing Laurence Olivier. It broke his sword, which flew into the audience where it struck a patron--this man shortly afterward died of a heart attack. John Gielgud starred in another production in 1942. Three of his fellow actors--which took the roles of two witches and Duncan all died. The set designer committed suicide during this run. 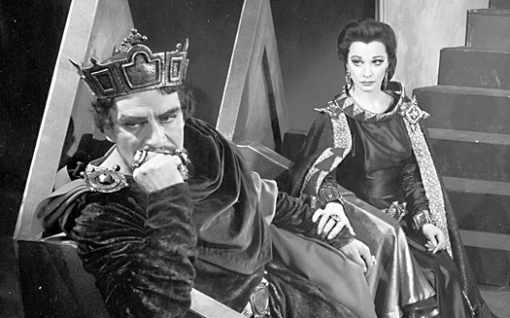 Actor Harold Norman was acting in Macbeth on a Thursday when he was stabbed during the final sword scene in the play. He later died of his wounds. Ever since his ghost is seen on Thursday nights at the Coliseum Theatre in Oldham on the spot where he was accidentally stabbed. During an outdoor performance in Bermuda in 1953 that starred Charlton Heston a gust of wind blew smoke and flames being used to make the scene more realistic--into the audience--they fled. Heston was soaked in Kerosene-- he suffered burns to his groin and one of his legs. In 1971 Roman Polanski just two years after his wife Sharon Tate was killed by the Manson murderers began to shoot a film version of Macbeth. The first day of filming his cameraman almost died in a freak accident. In 1981, a production of Macbeth was being performed at the Lincoln Center in Washington D.C. J. Kenneth Campbell who played the role of Macduff was mugged shortly after the first performance. In July of 2013, one actor made sure the "show must go on." Kenneth Branagh's sword hit him during an opening battle scene--at St. Peter's church in Manchester. He was treated by an on-site paramedic and then returned to the performance. After the final curtain call, he was taken to the hospital. Many outside the theatre community discount this curse. It is stated that Macbeth has many fight scenes and the lights are often kept low for effect so this is more likely the reason for accidents. But this explanation does not explain the burning or the riot, or the illnesses that have occurred over the years.